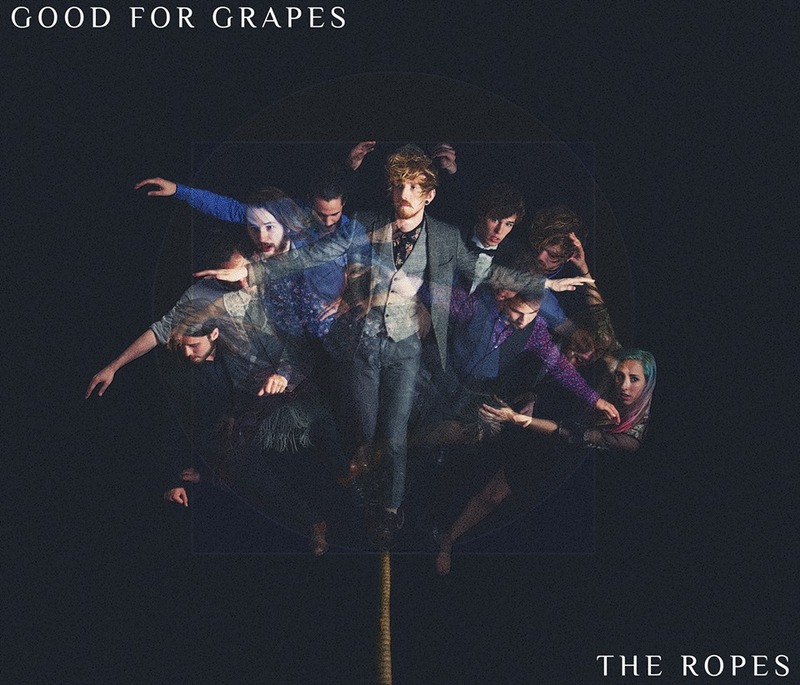 Two years and over one hundred thousand dollars can do great things for a band, as Good for Grapes has learned since their debut. The Ropes, their follow up to 2013’s Man on the Page, is a punchy, raucous and deeply satisfying successor to their folk-fuelled entrance. The extra cash, new members and a chance to work with producer Howard Redekopp (the New Pornographers, Tegan and Sara, 54-40, Mother Mother) all led to a few creative flourishes—channeling a bit more classic rock and an unabashed country flair on certain notes. But their folk roots—which helped them skyrocket to the top of a number of band competitions and garnered them the Peak Performance Project and winnings—are happily still front and centre. The measured build of “Gethsemane Blues” and its pub-party chorus showcase how effusive that new fusion can be. It’s a seven-minute wunderkind of a song that marches, explodes and then flips itself into totally different genres as it riffs on the guitar and plucks out a country twang. There are hints of Simon & Garfunkel, nods to Oasis’ less scandalous years and even a rum-running finale on “Visions.” Meanwhile, songs like “Time and Time Again” lay the emphasis on lead singer, guitarist and songwriter Daniel McBurnie’s voice as he eases up on some of their trademark folk-stomp to churn out a heart-broken ballad or delve into adventure turned introspection. In fact, aside from their refreshingly modern take on some classic coastal folk, it’s the mid-song turn that emerges as a staple of The Ropes. McBurnie credits the infusion of sounds to the sextet’s assorted tastes, but the natural flexibility on show makes for another draw as the album dips and swoops through that range smoother than most and with a welcome break from rote. But lest some old fans be worried, that folk-stomp is still the main allure, and the sense that there’s a good party up ahead never falters. The band’s habit of punching upwards by joining in for the chorus continues bring in that extra kick—giving each song its rousing moment and occasionally reaching nearly anthemic proportions. Still, the added variety, the surprising shifts and an equal ability to step back make their own rewards—and make for an equally sweet return on the rewards the band has already reaped.